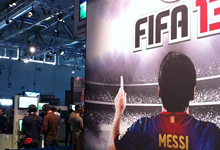 You are here: Home » Games » FIFA 13 » Virgin Gaming Live | FIFA 13: Beat Rom and take $20! Once a week, our partners at Virgin Gaming call on a challenger to take our good friend Romily Broad on in a free head-to-head game on Virgin Gaming. Win and they’ll give you $20. Easy! Check it all out and watch the first 2 episodes here. 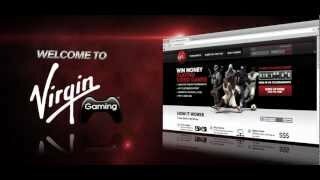 Virgin Gaming Takes You On! Rom has too much money in his Virgin Gaming account and not enough brains. Once a week, he’ll call for a challenger on the Twitter accounts below. Play him and beat him, and he’ll drop you $20. Whatever the result, the highlights will appear in video right here. Money has never been this easy! Rom picks Liverpool in his first $20 challenge against a chap called All-Guns on Virgin Gaming. Let battle commence! Romily doesn’t pick Liverpool this time, which hurts his soul but not his chances. Internet-famous FIFA YouTuber Calfreezy is this week’s challenger. He brought his family for moral support. If you want to take part, follow the Twitter accounts below and stay tuned!